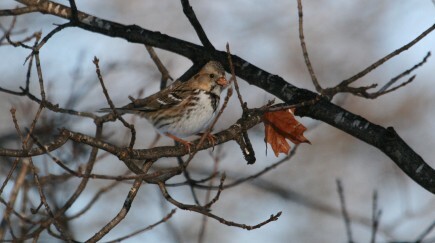 This little fellow is the largest sparrow in Kansas. We saw them around a lot last winter, but don’t see them much in warmer times. Click on pictures to enlarge. This entry was posted in sparrows and tagged Harris's Sparrow on December 29, 2009 by admin. 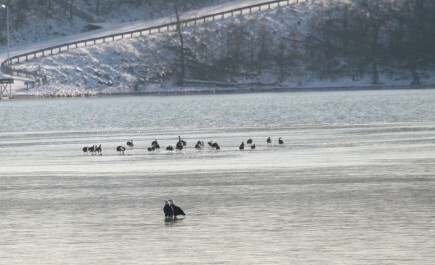 The lake is frozen, so everyone is hanging out below the dam. 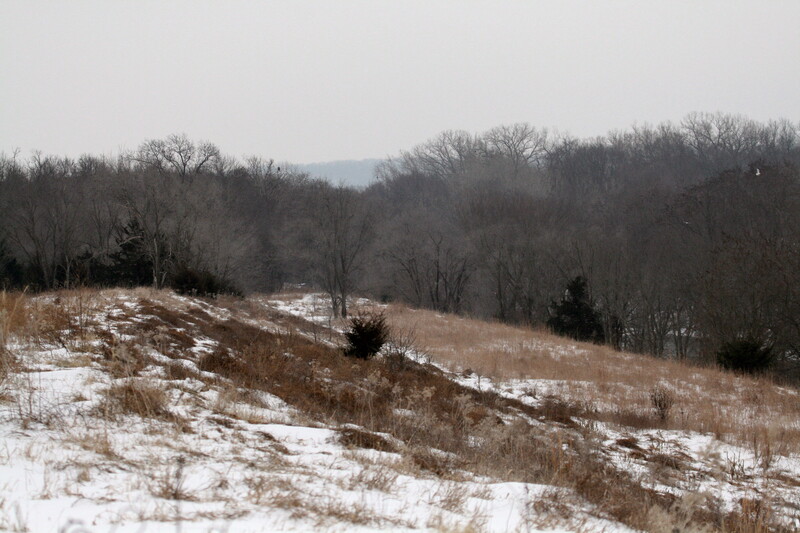 Zoom in on the trees and count the bald eagles. 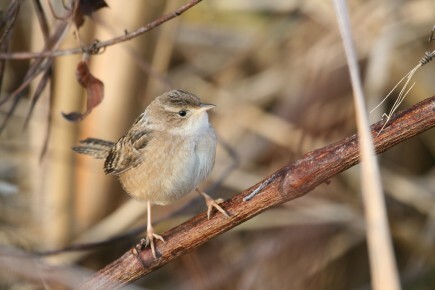 I saw at least twenty in the short time I was out there this morning. Very cool. Click on pictures to enlarge. 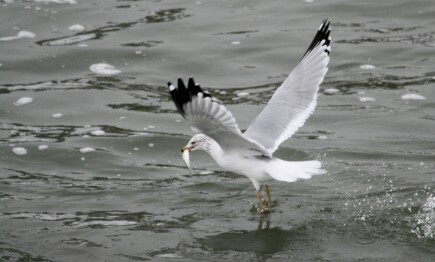 This entry was posted in eagles, gulls and terns and tagged bald eagle, Gulls on December 29, 2009 by admin. 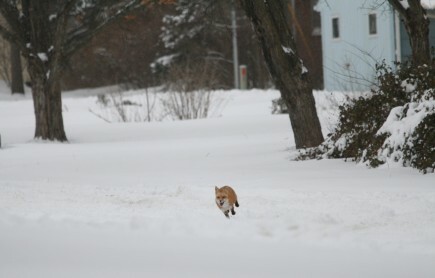 I was taking pictures of birds at our feeders when this beautiful fox came running down the street. Sadly, this was the best of the pictures. It was so cloudy. I was glad to see her/him since it has been over a year since the last time we saw a fox in the neighborhood. Click on picture to enlarge. This entry was posted in Uncategorized on December 27, 2009 by admin. 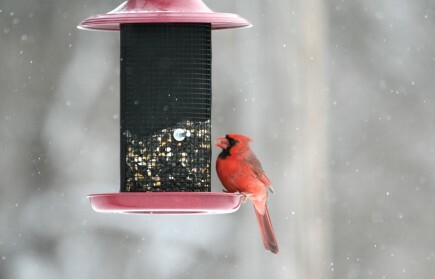 The Christmas blizzard generated nonstop action at our feeders. I keep saying, “Let’s invite everyone in.” I think our felines might have something to say about that. Click on pictures to enlarge. 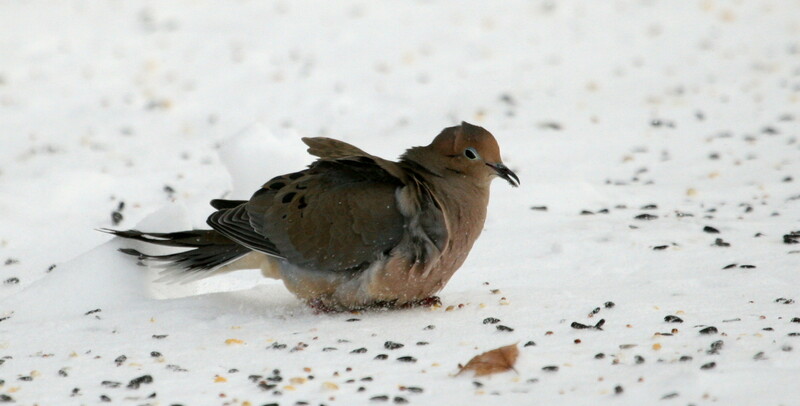 This entry was posted in cardinals, doves, juncos, sparrows, starlings and tagged european starling, House sparrow, junco, mourning dove, northern cardinal, White-throated sparrow on December 27, 2009 by admin. I can watch them all day. Click on picture to enlarge. 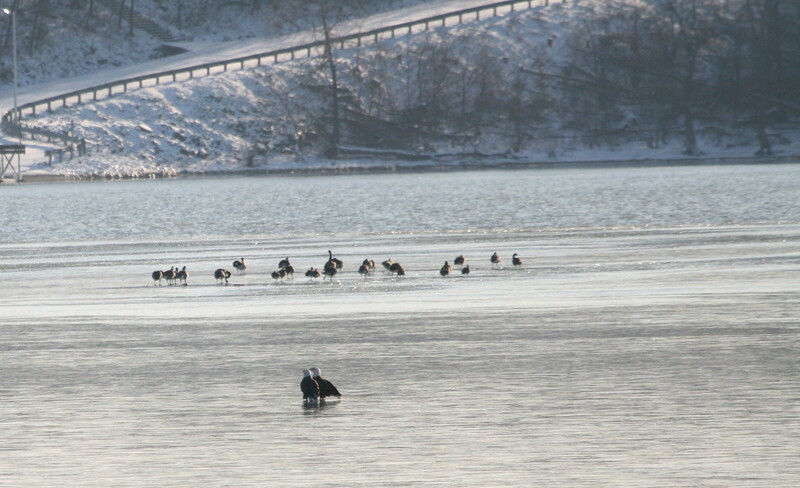 This entry was posted in eagles and tagged bald eagle on December 27, 2009 by admin. 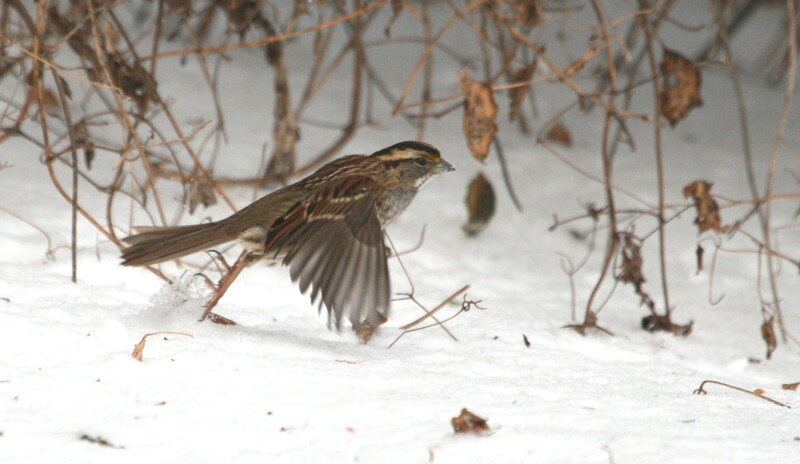 I might be wrong about the identification, but he certainly is beautiful. Click on pictures to enlarge. 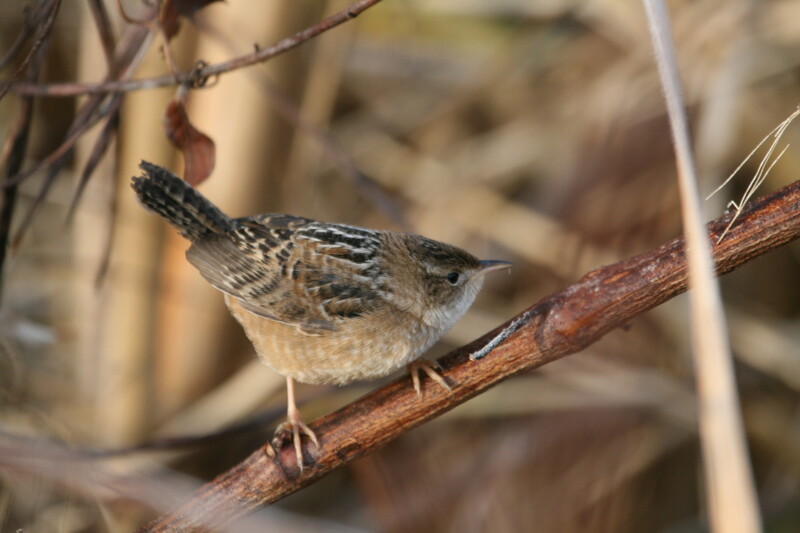 This entry was posted in Wrens and tagged Bewick's wren on December 27, 2009 by admin. What a lovely moment to just hang back and watch her/him eat. Click on picture to enlarge. 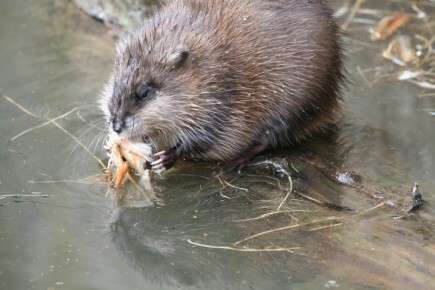 This entry was posted in Muskrat and tagged Muskrat on December 27, 2009 by admin. 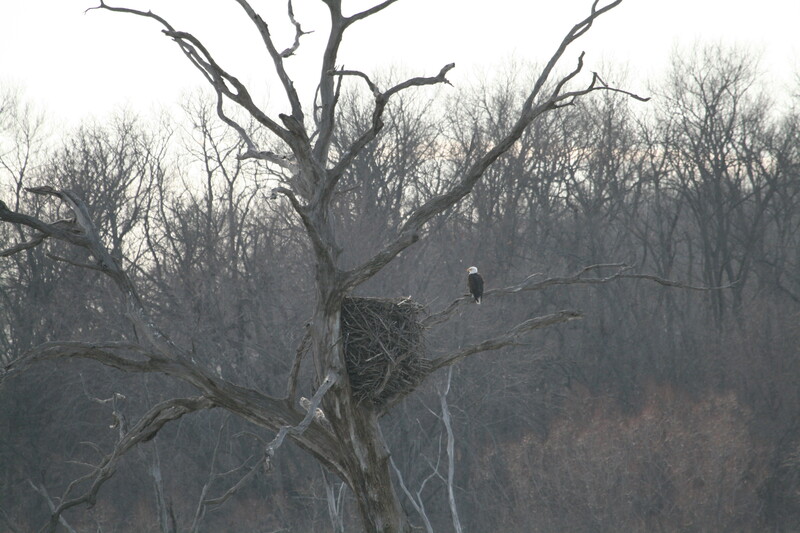 It looks like all the local bald eagle nests we visit are good to go. The eagles are back and doing house keeping. Click on picture to enlarge. This entry was posted in eagles and tagged bald eagle, nest on December 27, 2009 by admin. Young eagles are everywhere right now. 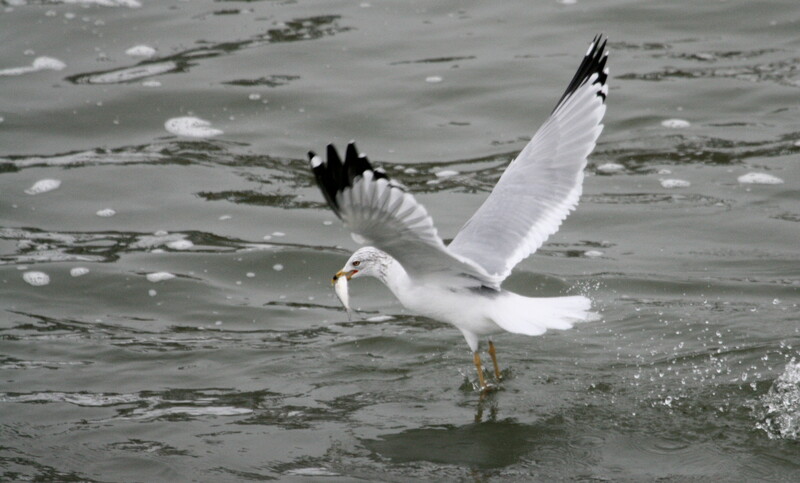 I got this picture when watching this youngin’ trying to steal fish from one of the adults. Click on picture to enlarge. This entry was posted in eagles and tagged juvenile eagle on December 27, 2009 by admin. While I haven’t spent too much time out in the bitter cold lately, I was able to get out for a while over the weekend and look for new winter arrivals. 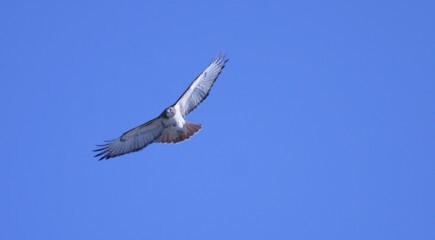 Hawks are in abundance and there seem to be some new bald eagle arrivals. 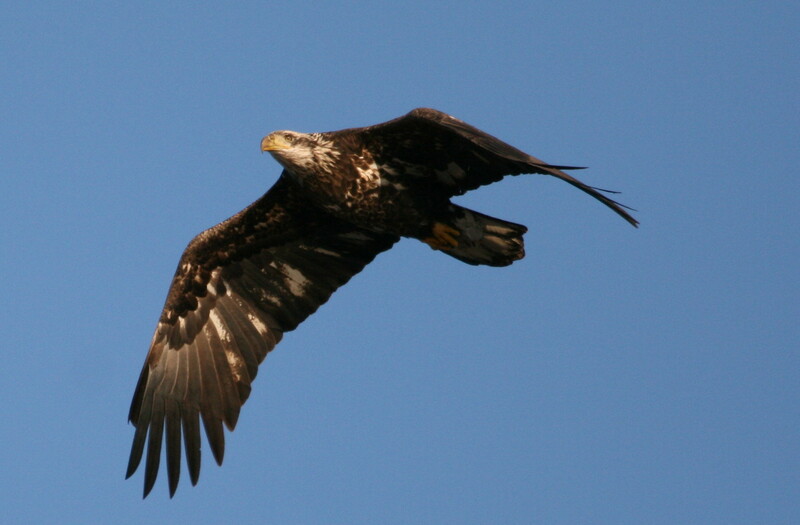 I’m also seeing a lot more activity among the bald eagles who nest here, courting and tidying up nests. 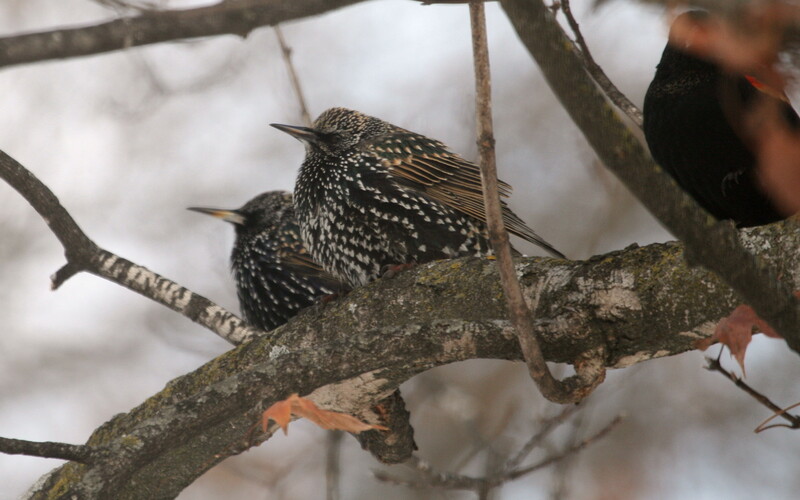 Of course what we call courtship may mean something completely different to them. 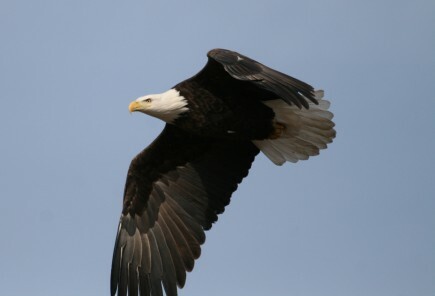 Pretty much everything I’ve read about bald eagles (and many other nonhuman animals) comes from a very speciesist perspective and often runs counter to what I have observed just hanging out near them. They have their own reasons for what they do. 🙂 Click on pictures to enlarge. 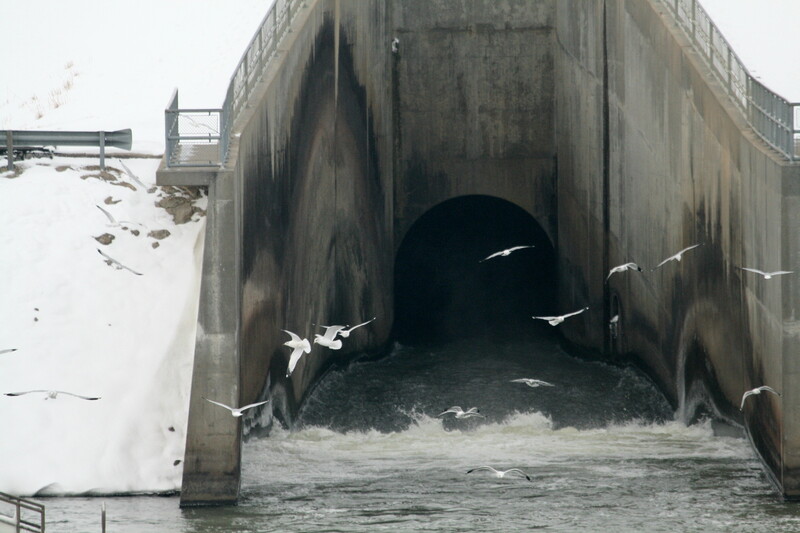 This entry was posted in eagles, geese, hawks and tagged bald eagle, ferruginous hawk, juvenile eagle, red-tailed hawk on December 15, 2009 by admin.